The Wimps’ Rachel Ratner never looks disappointed. Despite singing songs about Mondays, boredom, and not wanting to go to work, her contagious smiles and seemingly ‘on the verge of chuckling’ countenance is part of what makes The Wimps so easy to root for. 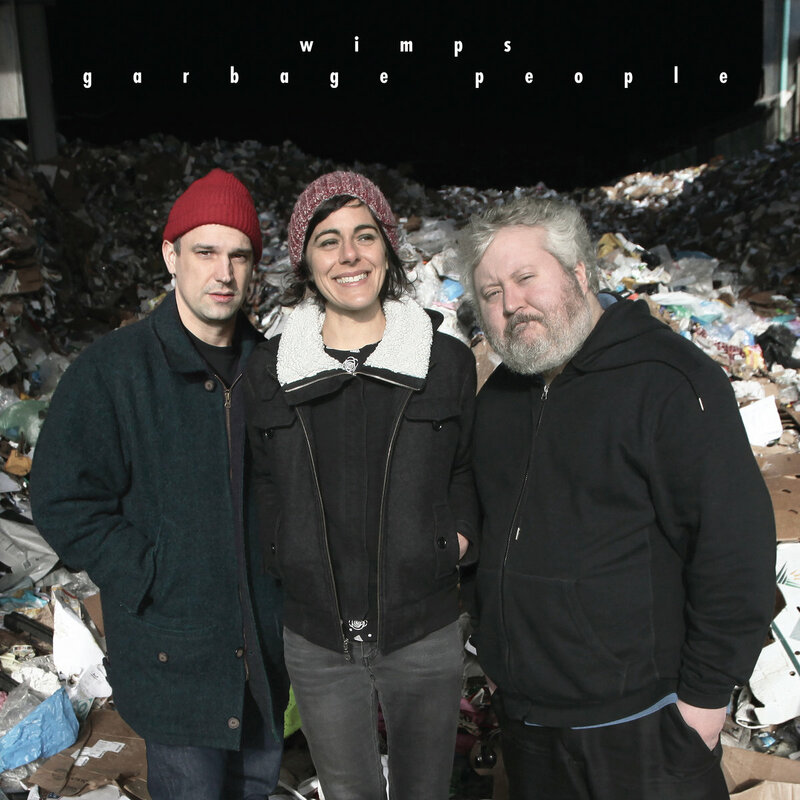 Garbage People (out now via Kill Rock Stars), the new record from this comical, punkish trio, stab the daily hardships we all step…er…perhaps fall in. Ratner, bassist Matt Nyce, and drummer Dave Ramm excel here at crafting songs that require no membership fees, outside of being human. Pulling in nods from Weird Al to The Ramones, and all-things Pacific Northwest, The Wimps infectious punk style is founded on fun and charm. Musically, they strike a sound elevated by a keen sense of tempo variables and delays, where sing-a-long melodies abound. The smooth pummel of “Giant Brain” warmly evokes a Saturday morning watching nothing but cartoons. “Cave Life” offers a comedic, deadpan spin on early human living. Ramm’s drums pound the earth as guest Gabi Page-Fort’s squelchy sax rakes off the duff. The title-track is a dialed-in, bass fueled workout, pulsed by tidy dynamics followed by spry guitar stretches on “Mope Around.” “Trip Around the Sun” possesses a dark, spiteful riff that molds into one of the catchiest treats The Wimps have fashioned and album-ender “Insomnia” is a saccharine laced ditty worthy of endless radio play. Few punk bands pull off relevant and hilarious. 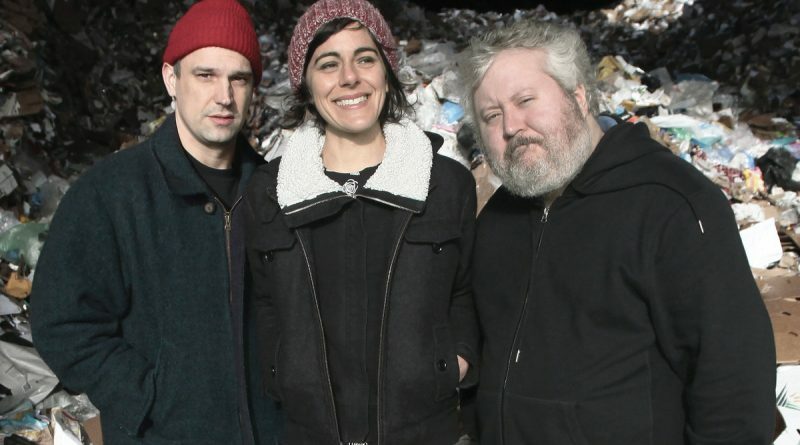 “O.P.P.” (Other People’s Pizza) stages The Wimps at their most lovable. Ramm’s vocals are delightfully dry and laughable. Even the doomy and gloomy shift on “Procrastination” is equally funny and “Bees”, while not a laugh aloud song, should earn a joyous smirk. Partnered with well-executed saxophone, this necessary environmental anthem questioning our massive pollinator decline would be a stretch for any other band, yet The Wimps record it with ease. The instantaneous effect of Garbage People is like a 100% organic grape juice box – conveniently packaged, easy to drink, and sweetened without fillers. Like the best social commentaries of our time, The Wimps understand the chord between humor and substance. And they even provide the straw.